Born Friedman » H2 Oh So Cute! 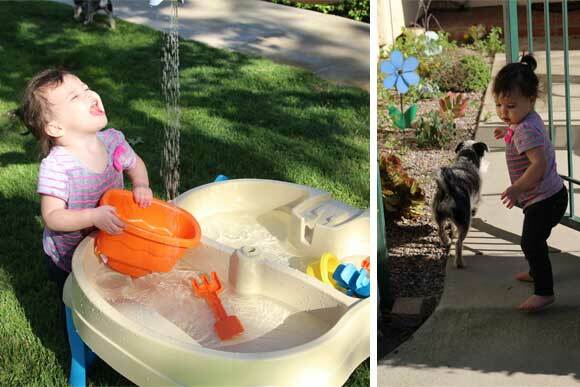 Nothing is more refreshing than a little water play on a hot summer spring day! 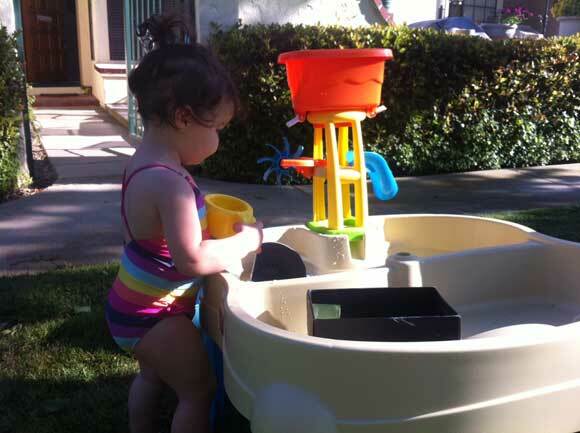 It’s been heating up here in Ventura County, so I bought this water table on a whim at Costco. It was a good deal! And I’ve read too many blogs and seen too many Pinterest boards about providing sensory experiences for toddlers. So, in order to be Mother of the Year, I bought this little sucker for my little pisher to enjoy. I even managed to put it together all by myself. I have a rule. Things that don’t require screws or batteries are totally up my Ali Alley. Everything else is Daddy-Only. This is mostly because I can never remember the names of tools. So I snapped in the handful of plastic parts to stand this baby up and was pretty proud of my handy work. Basically, I’m an engineer. I couldn’t wait. 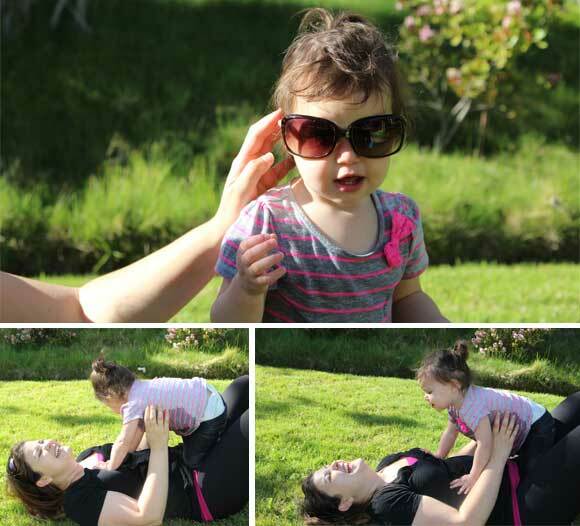 I set it up on our greenbelt and let her go to town. 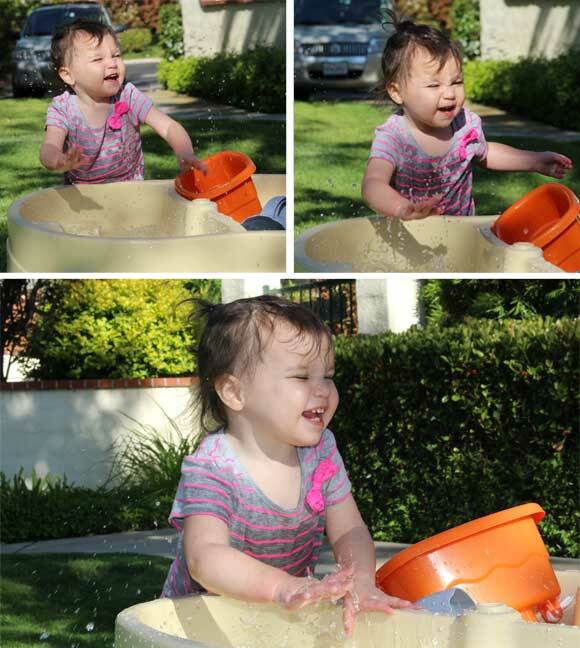 I had the fancy camera handy so I snapped a bunch of pics, capturing a progressively soaking t-shirt and droplets of water that supplemented her happiness. 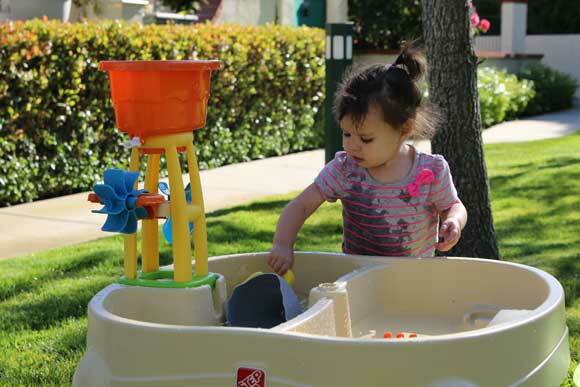 It was a great first encounter with the water table and even when she was finished with it, she was high on cuddles and giggles. A few days later, I thought I’d try again, but go a little more pro. Madelyn was napping, so while she snoozed, I pushed the table outside, filled ‘er up on one side, and poured uncooked rice into the other side. 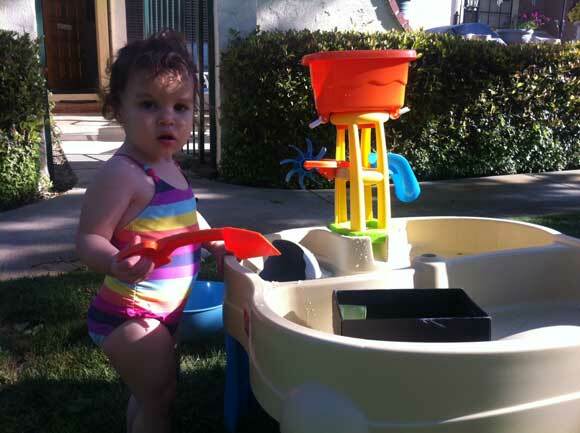 When she woke up, I was so excited to put her in a bathing suit I’d received at my baby shower (Thanks, Sharona!) 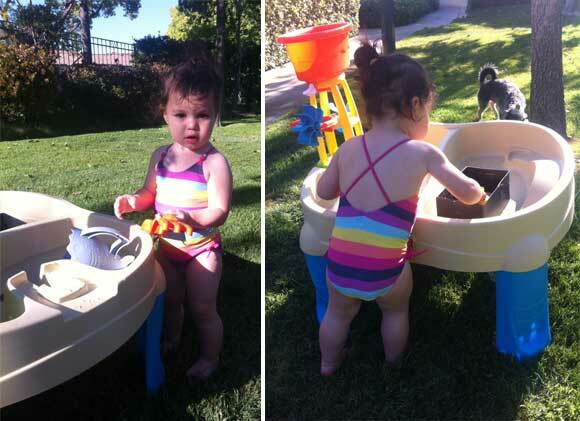 that finally fit her and snap photos of playtime at the new water table. She got pretty into it. She mostly knocked down the waterfall feature and proceeded to mix the dry rice into the water, but it was all a welcome mess. This time, I got photos with my crappy iPhone and they were taken in harsh light in the worst angle, but it was really a picture-perfect vision to behold. My eyes savored the mental snapshot of my beautiful baby on a warm May day wobbling on her chubby legs as she danced with glee from water splashing her face and soaking her curls. Her shrieks of delight are forever engrained in my ears, and my cheeks hurt from smiling so hard as I watched her take it all in.